Posted On February 08, 2017 by Team iCynosure. Anaheim, the Southern California city located between Los Angeles and San Diego, is a leading leisure and business destination. The mission of Anaheim is to develop the city as the most sought after, vibrant and progressive international destination for professional meetings and conventions benefiting the economic vitality. The city constructed the beautiful Anaheim Convention Center (previously known as Anaheim Arena) in 1967. The centre, which spans over 1.6 million square-feet of flexible, multipurpose exhibit space, is the first choice for most organizations seeking a venue for their large-scale visibility events. ACC offers world-class facilities, a broad infrastructure and a range of accommodations to host a successful event. Apart from business visitors, the city of Anaheim also sees a lot of leisure travellers due to its close proximity to Los Angeles and San Diego. Most business travellers extend their stay to explore the city, which has plenty to offer. However, to make the most of the trip, travellers must consider the following. Anaheim experiences a Mediterranean climate of warm winters and hot summers, perfect for any outdoor activities year-round. To know exactly what travellers must pack for their holiday and plan their intended itinerary, the city weather forecast can be checked prior to the travel. Anaheim is one of the most well-connected cities both by air and road. The city also has immense provisions for local travel, where visitors have the option of renting mobility scooters or opt for local car rentals. There is also a variety of services and transportation facilities for travellers with special accessibility needs. 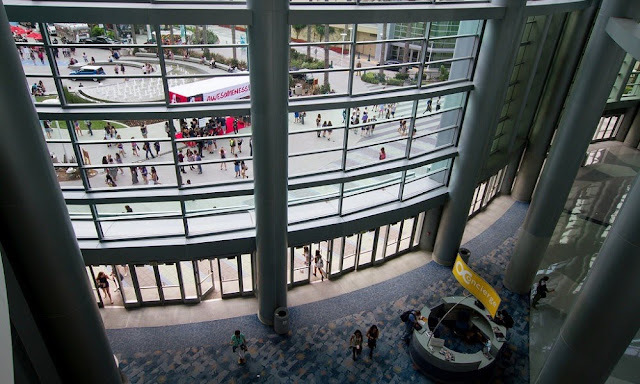 Anaheim is close to two major cities with an estimated 17 million visitors expected this year. Additionally, with the city being in close proximity to four major airports, there is always a lot of accommodation requests. It is the wisest thing to make reservations in advance and pick from a spectrum of stay options the city offers, including luxury resorts, boutique hotels, homestays, farmhouses, and more. Tourists have plenty of experiences to choose from including beautiful beaches, lush green golf courts, trendy restaurants and eateries, sleepless nightlife and unlimited shopping. The city is dotted with contrasting historic landmarks, art houses and fast-paced family attractions that should be planned in advance to be able to get the best deals and offers. Numerous sites offer guided tours with a host of services including the best experiences for each group at the lowest prices and fast and easy booking options. So whatever your reason to travel to the sun-splashed Southern California city is, enjoy your time exploring the world-renowned Disneyland Resort and the Anaheim Convention Center. Discover the city's revitalized downtown shops, food hotspots, and award-winning craft breweries while exploring cosy places to stay like the Staybridge Suites and many more, either close to Orange County's beaches, golf courses, luxury shopping, arts and culture. Never miss anything happening in and around Anaheim. So start planning that business trip that can be extended to a leisure one.